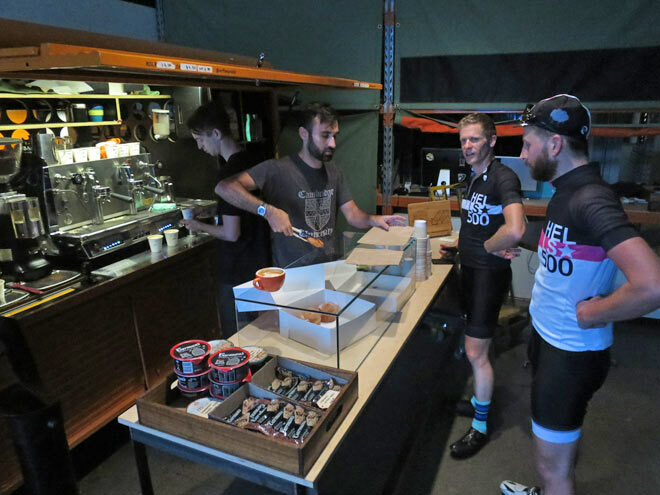 About 4-6 months ago a new café was set up in Cecil Street, Fitzroy; a café catering to an eclectic, steady stream of clientele and yet determined to create a welcoming environment for cyclists. 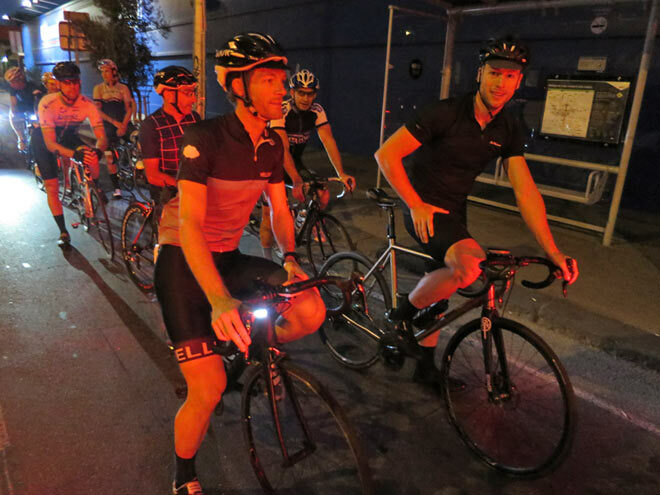 A core group of riders set up a bunch ride to support the new café. 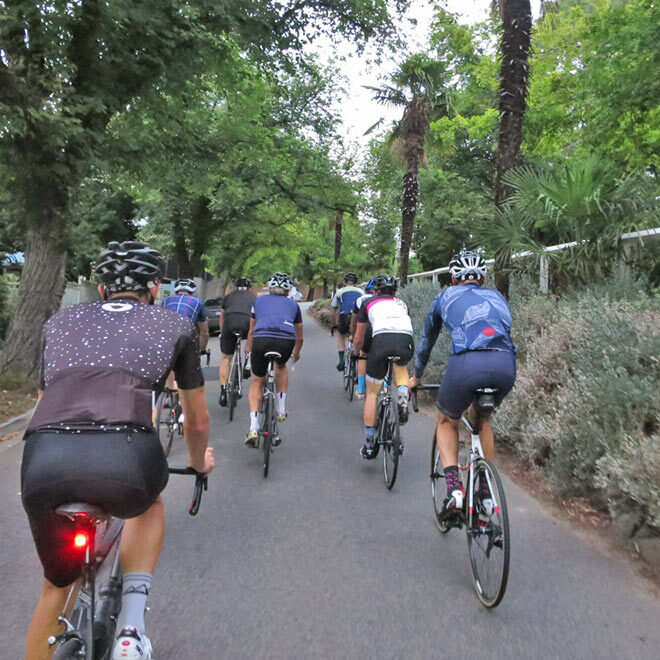 The ACDC (Arrivee – Cycle – Depart – Caffeinated) began about 13 weeks ago and through Instagram already attracts 8-20 riders when it’s rainy and around 25 riders when the sun is shining. As it was explained to us, the ride is nothing serious, nothing intense, you just ride and end up with good coffee, good conversation and meeting new people. But it’s a fantastic way to kick off your Friday morning. What keeps riders coming is the excitement, the 15-20% pinches, a chance to spin out the legs and the comradery. They cover some kilometres, have a spin out at the end after some tough pinches and end up in an environment great for cyclists. There’s always somewhere to park your bike within line of sight. The core group has already covered a few kms with some large rides of 150-250kms and 3000 vertical metres plus. This was deemed a great way to start the weekend. Anything slower wouldn’t tick the boxes and anything too quick and they would be smashed. The ACDC ride is fun, exciting and different to anything else available on a Friday morning. While there’s definitely no chatting on the pinches, there’s some chance to chat on the flats and this ride is pretty evenly split between the two. There’s some tough bits but it’s all about the coffee at the end and being able to sit and enjoy the morning. 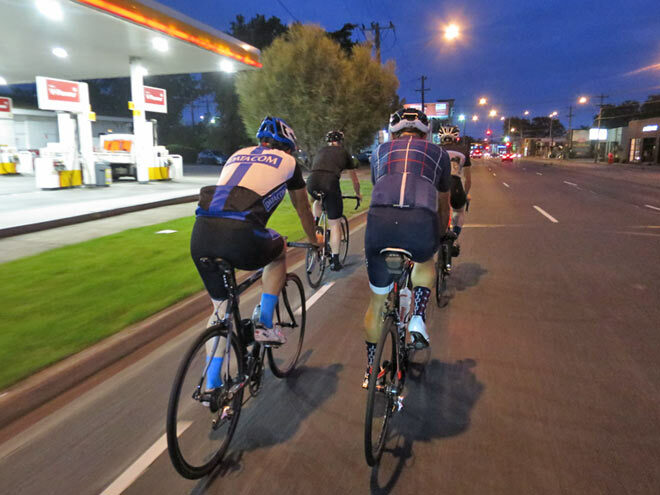 Harnessing the power of social media has enabled ACDC to attract new individuals that have never met before but there’s also a core group of riders that know each other through other rides. And anyone is welcome to come along. 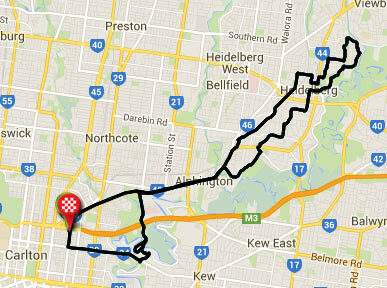 The majority of current riders live within a 10km radius of the city but the ride attracts from as far afield as Coldstream and Forest Hill. Arrivee/Depart is passionate about serving great coffee to cyclists, with a great environment and promoting the cycling community. 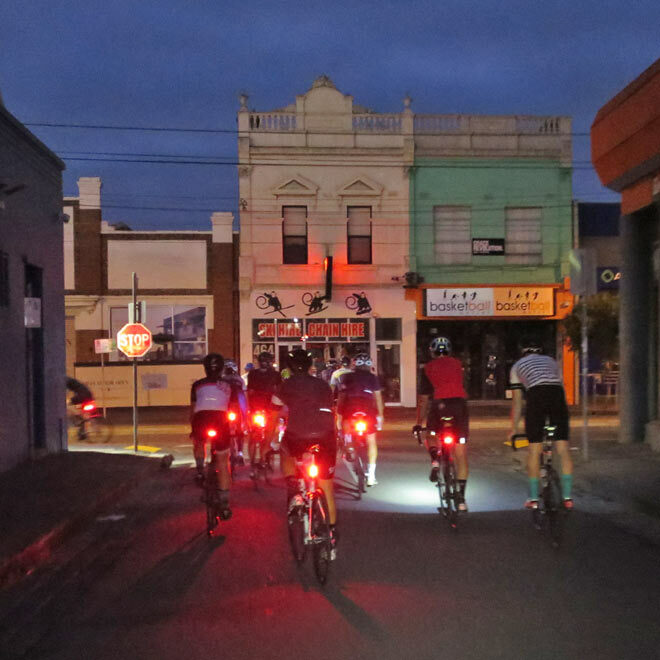 The ACDC ride is an opportunity to support the café in return. By building a large following of riders visiting the same cafe, you’re quite likely to bump into someone you know if you drop in during the week. So, if you’re looking for a great way to start your Friday, great coffee and great conversation, get along, give it a go, try and hold on and enjoy it. It’s nothing serious, just a stretching of the legs on a Friday morning.